Kory Jasperson, MS, CGC and Andrea Forman, MS, CGC will be discussing the benefits of paired tumor/germline testing for Lynch syndrome. This presentation will outline the clinical dilemma faced by clinicians when receiving discordant tumor screening and germline testing results for Lynch syndrome, review the current literature regarding somatic genetic testing after abnormal MSI/IHC results, and compare the utility of paired tumor/germline testing for Lynch syndrome to other testing strategies. Mrs. Smith graduated from University of North Carolina at Chapel Hill with a B.S. in Biology. As an undergraduate, she worked in a lab studying dental genetics. She then received an M.S. in Genetic Counseling from The University of Texas Health Science Center in Houston/ MD Anderson. Prior to joining Ambry, Mrs. Smith worked for the Baylor Health Care System developing the cancer and cardiovascular genetic counseling clinics. She is currently the Licensure Chair for the Texas Society of Genetic Counselors and the Vice-Chair of the National Society of Genetic Counselors’ Access and Service Delivery Committee. At Ambry, Mrs. Smith is the director of the field based genetic specialist team. Kory Jasperson is a senior genetic counselor in the department of medical affairs at Ambry Genetics. Mr. Jasperson has been instrumental in the development, implementation, and success of various society guidelines involving hereditary GI conditions, including NCCN, NSGC, and CGA. He co-founded the Lynch Syndrome Screening Network, where he helped hospital systems across the US create universal Lynch syndrome screening programs. Mr. Jasperson also has over 50 peer-reviewed publications, many of which involve hereditary colon and endometrial cancers. 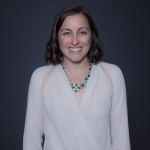 Andrea Forman is the Senior Genetic Counselor at Fox Chase Cancer Center in Philadelphia, PA and an Adjunct Professor and Clinical Supervisor for the Arcadia Genetic Counseling Program where she teaches the Intro to Cancer Genetics course. Andrea had her genetic counseling training at the Mount Sinai School of Medicine and worked there for several years coordinating research studies on innovative genetic counseling techniques, such as culturally tailored genetic counseling for women of African Ancestry. At Fox Chase, she continues to work on research as well as leading the clinical team in a wide variety of cancer genetics care. Andrea has particular interest in next-gen sequencing and multigene cancer panels and their impact on lab quality, insurance coverage, and counseling models. In addition to her clinical, research, and teaching roles, Andrea has taken an active role in the National Society of Genetic Counselors, where she currently serves as Co-Chair of the Cancer Special Interest Group.